Set in and filmed in northern Michigan, this local thriller is a solid, low budget affair dripping with a ton of atmosphere, has a solid script and above par acting for a smaller film. 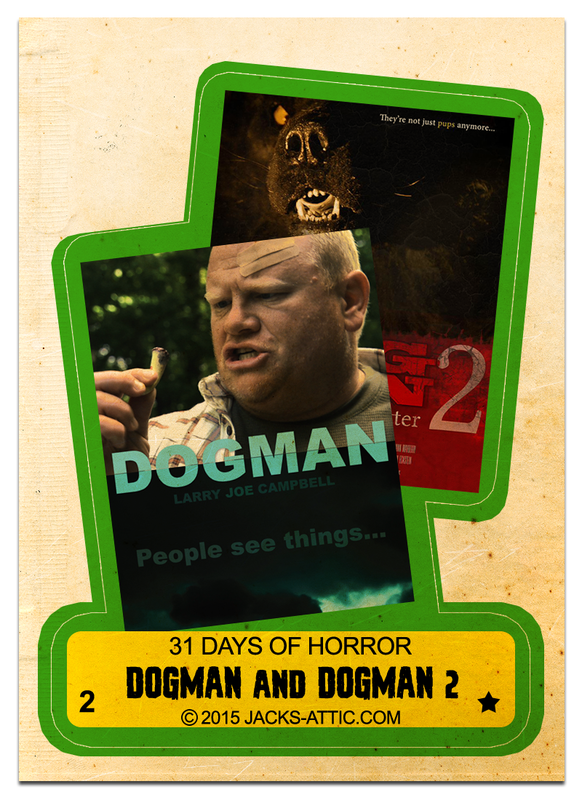 From MichiganDogman.com: “Dogman follows Hanklin Purvis, a strong-willed outdoorsman, and his wife Dorothy, as they face a series of mysterious events. Things are disappearing from their farm, strange sounds emanate from the woods, and people are being attacked by something they are too frightened even to describe. The terror grows when a century-old scrapbook reveals that this creature has appeared before, and that encounters with him can be deadly.” While I’ve seen the original Dogman, Dogman II – Wrath of the Litter, I’ll be watching for the first time tonight.